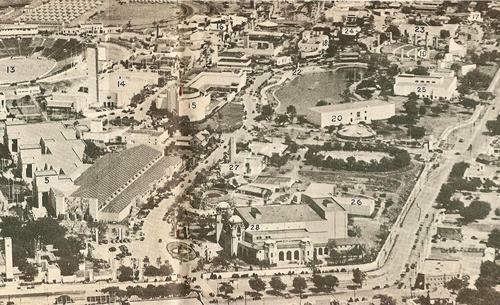 Dallas Fair Park - 22. Science Place I. The site of the former Science Place lays directly south of Leonhardt Lagoon. The building was originally constructed for the exposition to house the collections of the Dallas Museum of Fine Arts. The artwork, worth ten million dollars, had accumulated over the years since 1903. It was during that year that a group of fifty people gathered together and formed the Dallas Art Association. Its goal was to support the visual arts by establishing a respectable collection. After the meeting, the members began the process of acquiring artwork and displaying the pieces at exhibitions inside the Dallas Public Library. When the DAA donated its holdings to the city in 1909, everything was moved from the library to a building in Fair Park, which was located near the former location of the Women's Museum. Because the collection now had an independent facility, management decided to give it a name and called it the Free Public Art Gallery of Dallas. A hailstorm attacked the Dallas area in 1926 and shattered the roof of the art museum, prompting the local government to seek funds for a better home. A bond election the following year provided 500,000 dollars for the project. In 1929, the artwork was transferred to the Majestic Theater to protect the art while the new building was under construction. Unfortunately, the Great Depression took hold of the nation and delayed the project indefinitely. The collection moved once again in 1933, this time to the ninth floor of the Dallas Power and Light Company Building. With plans for the Texas Centennial in progress, it was decided to start work on the new museum again using the original bond money. When completed, the limestone building had a red granite base, doors with decorative panels, and an architectural style called classic modernism. The collection was renamed the Dallas Museum of Fine Arts and received lots of attention during the exposition. The museum continued its popularity after the event and stayed at its location until 1983 when it moved to its current location in the arts district of Downtown Dallas. 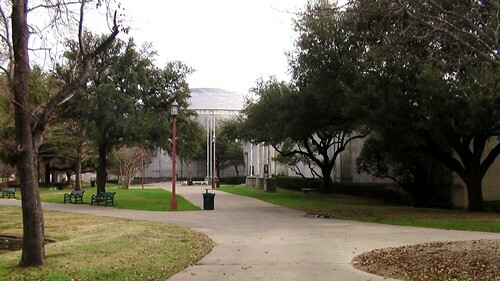 When the Dallas Museum of Fine Arts left the facility, the contents of the Dallas Health and Science Museum entered it. There was so much content, many of the exhibits had to stay at the old home. Because both places would be open to the public, the new, larger building would be named Science Place I and the older, smaller one would be called Science Place II. The exhibits of the museum changed throughout the years. They included fossils, dinosaur skeletons, computers, interactive displays, an IMAX theater, classes for the Head Start education program, and a children's museum with toys and playground equipment. With the exception of the IMAX theater, the majority of the features went to the Perot Museum of Nature and Science. The Fair Park museum closed and the remaining contents were shipped elsewhere. The building is currently an empty shell, only hosting special attractions during the state fair.